Libya closed the only functioning airport in Tripoli after rockets were fired in its direction, the airport said, five days after flights resumed following a previous shutdown forced by fighting among rival armed groups. Nobody was hurt by the rocket fire on Tuesday which missed all aircraft, but the violence undermined a fragile truce between groups in Tripoli which the United Nations brokered last week. Some groups outside Tripoli attacked rival factions in the capital to gain access to public funds and businesses linked to militias, a recurring theme in the OPEC oil producer since the toppling of Muammar Gaddafi in 2011. 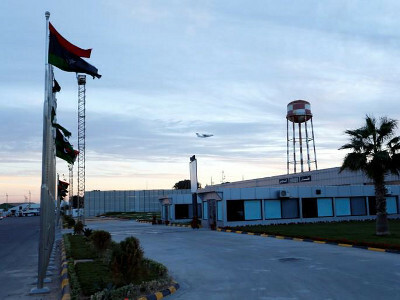 Matiga airport, a former air base used for commercial flights since the main airport was badly damaged in 2014 by militia fighting, said it moved aircraft and crews to Misrata, east of Tripoli. “All flights will be from and to Misrata International Airport,” Matiga airport said on Facebook. UN envoy Ghassan Salame said a new security arrangement would be implemented in the next few days. “We know who is bombing Matiga airport … once four days ago and then last night … I will name him next time,” Salame told reporters. He gave no details on the planned security deal likely to add more groups to the public payroll to win their loyalty, a strategy that previously failed as it only attracted other players. Rival groups fought for several days in Tripoli last week with clashes mainly in the south of the city, with Matiga airport in an eastern suburb. Salame has been pursuing a plan, backed by France, to hold elections this year though the House of Representatives in the east and allied to a rival administration that failed to approve the constitutional framework and legislation so far. Tripoli-based Prime Minister Fayez Seraj said conditions were too unstable to hold a vote. “You cannot vote with instability in the streets … it is necessary for everyone to accept the result of the ballot,” he told the Italian daily Corriere della Sera.